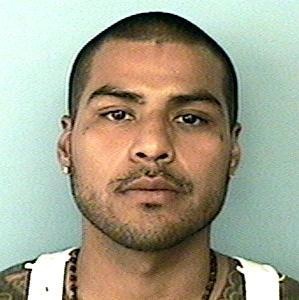 Rafael Reyna is wanted for violently assaulting an Arizona Department of Public Safety Officer on January 1, 2014. He is considered armed and extremely dangerous. A reward of up to $10,000 is available for information leading directly to the arrest of this fugitive. If you have information regarding this fugitive, contact Silent Witness at 480-WITNESS (480-948-6377). Your information will remain confidential. Before arrest, verify warrant through National Crime Information Center (NCIC). Subject is aggressive toward law enforcement and will likely fight and/or flee.